Any household move is a big undertaking, and moving from NJ to Scottsdale with your family is no exception! Working with a trusted moving provider is the best way to have a stress-free moving experience, and Simonik Moving & Storage has been one of the top choices for a BBB-accredited, professional moving company since 1977. 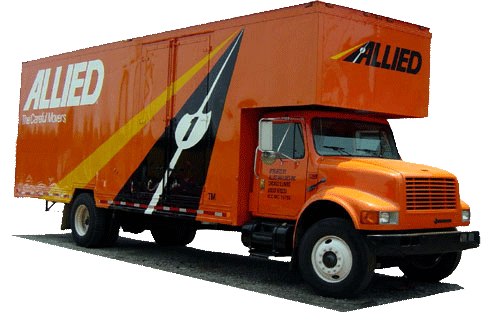 As an agent for Allied Van Lines, we are committed to providing the best service available in the industry, and we’re proud to be part of an extensive network of moving and storage professionals—allowing us to handle household moves of any size, anywhere in the United States. Regardless of the size or complexity of your relocation, your moving provider should be able to efficiently coordinate all the details to your specifications. That’s what you get with the Simonik team, and we’ll even come to your home to deliver a free, written estimate of your costs for moving to Scottsdale from New Jersey. To help you navigate the moving process, we will also assign you a personal Relocation Coordinator who will be available throughout the move to answer any questions that you may have. Need extra time to get settled into your new home before your household items arrive? Whether you need to store your items before, during, or after your New Jersey to Scottsdale move, Simonik offers short- and long-term services to meet your needs. All of your items will be carefully packed into a container designed for long-distance shipping, and you can have peace of mind knowing that we will store your belongings in our fully secured warehouse facility. As a top provider of moving services throughout North and Central Jersey, including in Hunterdon, Mercer, Middlesex, Monmouth, Morris and Somerset counties, Simonik is a proud member of the AMSA with ProMover status. We’ve also been recognized as a past recipient of the “Mover of the Year” award from the New Jersey Warehousemen & Movers Association, and through our professional affiliations, we guarantee that we are always fully updated on all special requirements for moving from NJ to Scottsdale. With help from the professionals at Simonik Moving & Storage, you can have a moving experience that exceeds your expectations—without breaking your budget! Give us a call today to discuss the various options that we offer for NJ to Scottsdale moving, or get started right now by requesting a free estimate and consultation through our simple, online form.